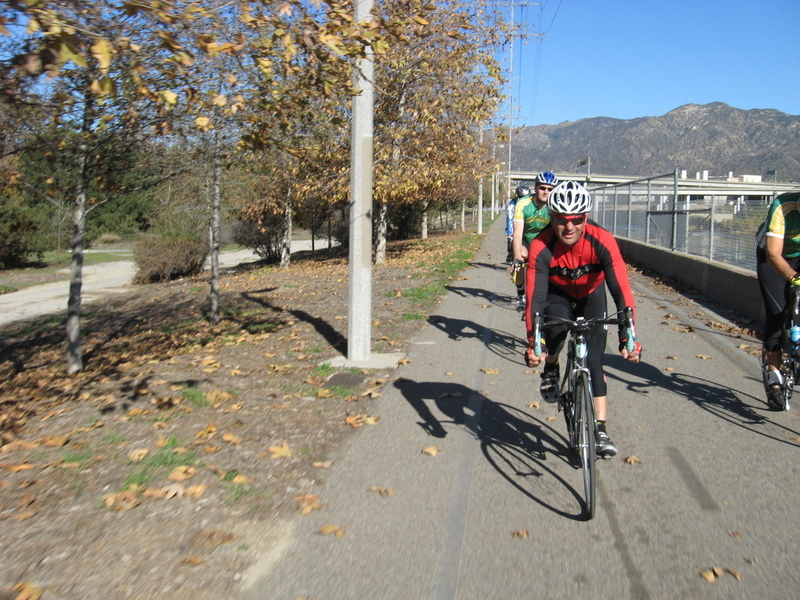 Sunday’s bike ride was the classic Toluca Lake route. 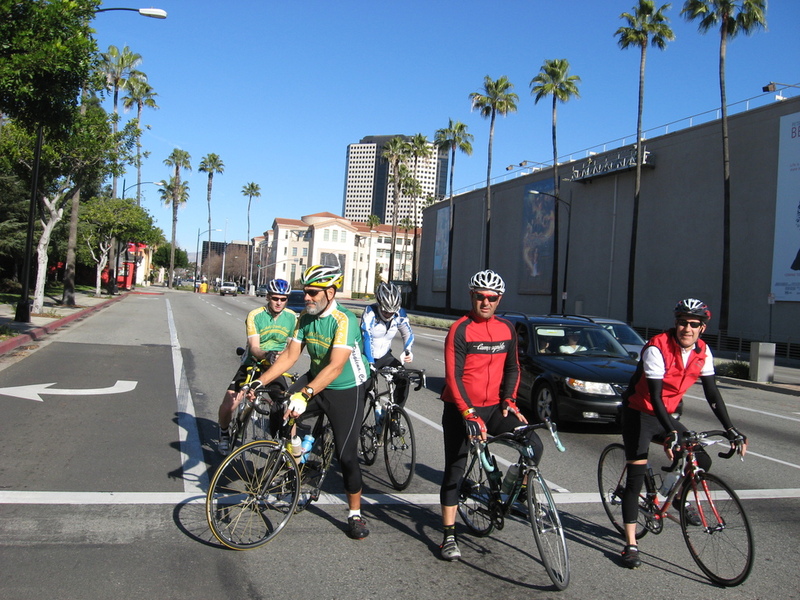 West through Eagle Rock and Glendale, and then through a bit of Bubank to Priscilla’s in Toluca Lake. 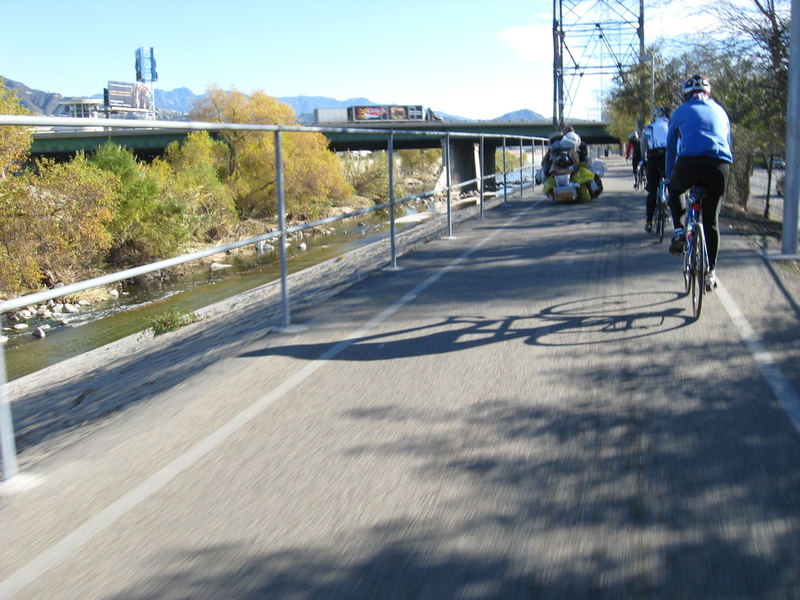 Then back by way of the L.A. River bike path and South Pasadena. 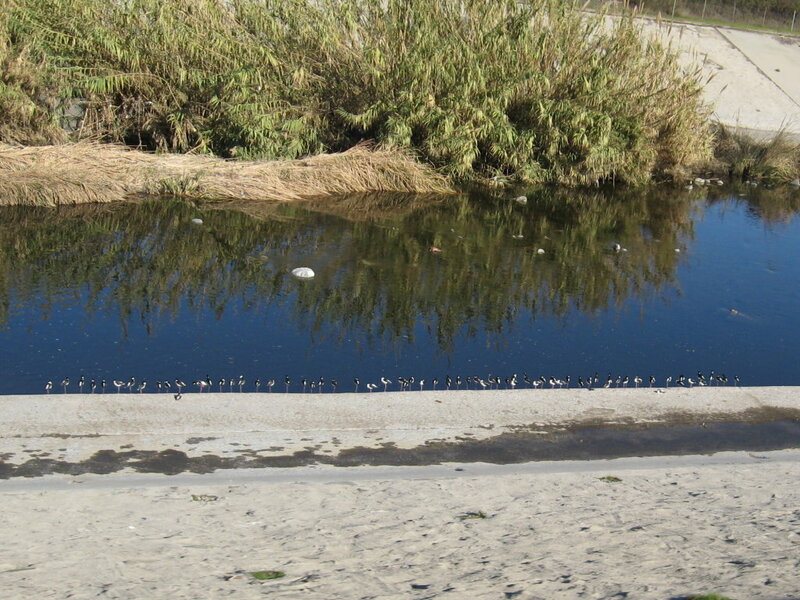 The only amusing things we saw along the way were some people filming something across the street from Warner Bros, a homeless guy with a very large cart of stuff on the bike path, and a long line of birds down in the river bed, all standing at attention on one leg. It was a very nice day. By the time we were heading back, it was quite warm and very pleasant. And that alone made it a very nice ride.